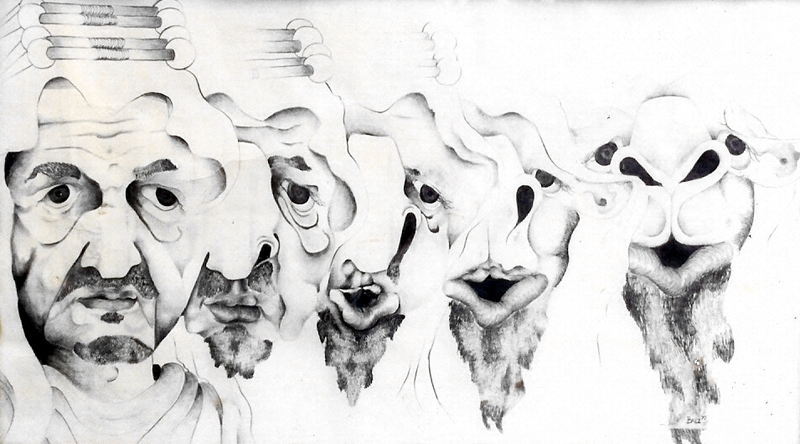 Was drawn with pencil when I was still in High School. It was a metamorphosis from King Faisal of Saudi Arabia into a camel. It won a scholastic competition, and as a teenager, that was great encouragement for me to continue drawing. I didn’t take an interest in painting for another decade.